Do you want the car, the car that goes boom? 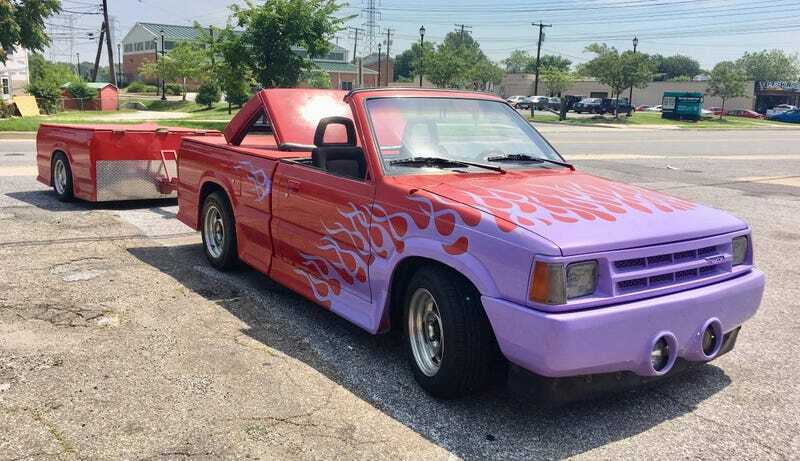 How about a convertible Mazda minitruck with matching trailer (with a tongue clearly designed to hold a bike)? This is terrible. But in an awesome way. I’m kinda glad it is way to far for me to go look at it.